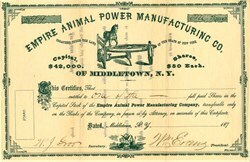 Beautiful certificate from the Empire Animal Power Manufacturing Company partially issued in the 1870's. 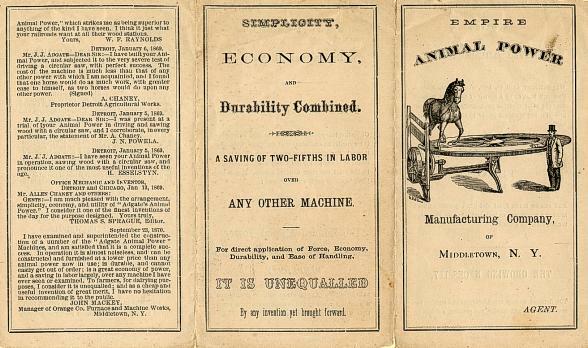 This historic document and has an ornate border around it with an incredible vignette of an horse providing power on a machine next to a man watching. This item has the signatures of the Company's President and Secretary and is over 130 years old. There is also a company brochure that comes along with this historic certificate. 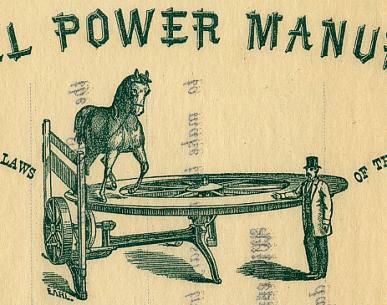 This machine was invented by J.J. Adgate.